Scotch drinkers, meet Jane Walker. 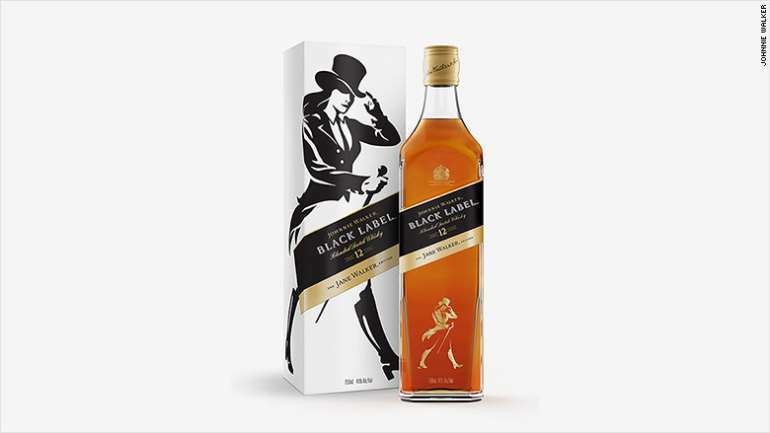 For the first time ever, the top-hatted man who appears on bottles of Johnnie Walker whiskey is being replaced by a woman. Johnnie Walker, which is owned by liquor giant Diageo, said Monday that it will launch a special edition of its Black Label blend next month featuring the female logo. 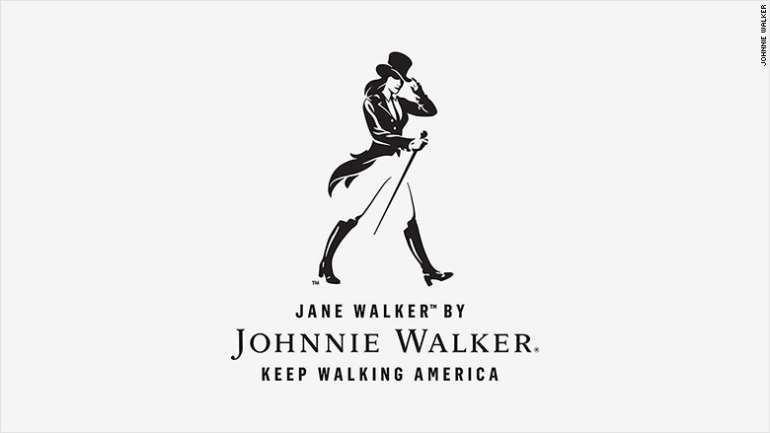 "As a brand that has stood for progress for nearly 200 years, Johnnie Walker is proud to take this next step forward by introducing Jane Walker as another symbol of the brand's commitment to progress," it said in a statement. Priced around $34, the special edition bottles will go on sale in the U.S. in March to coincide with Women's History Month and International Women's Day. It's the latest effort to feminize a well known brand. Last month, country music star Reba McEntire was cast as KFC's first woman to play its iconic pitch person, Colonel Harland Sanders. While some people applauded Diageo's efforts, some women said they found it patronizing or cynical. "Let's be SO equal we need a specific bottle. How are people this stupid. HOW?" tweeted Ashley K. Wilt. "I don't see this as a symbol of gender equality," wrote Diana Pardo, whose Twitter biography describes her as a communications consultant. "All I see is a marketing strategy to increase sales." The situation wasn't helped by comments a Johnnie Walker executive made about the initiative. "Scotch as a category is seen as particularly intimidating by women. It's a really exciting opportunity to invite women into the brand," Vice President Stephanie Jacoby told Bloomberg. "I'm no feminist but I do not need a woman on a bottle to tell me it's ok to drink it!" tweeted Jennifer Masson. Others felt the critics were taking things too far. "First you complain how male-centric brand logos are," wrote Agamoni Ghosh. "When something like #JaneWalker is introduced, you cry foul about how they are trying too hard." Johnnie Walker said it will donate $1 for every bottle of the Jane Walker Edition it makes to organizations that champion women's causes, up to a limit of $250,000.